Tropical deforestation in the Amazon has many causes: government subsidies for conversion of forest land to agriculture such as cattle grazing; ultra-low taxes for income earned through agriculture; landlessness and poverty among squatters and small farmers, who can earn titles to land of their own by demonstrating .cultivation. of a plot of land, even though cultivation may initially consist of no more than clear-cutting the forest; and legal and illegal logging. 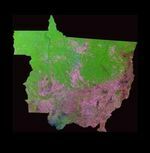 As the government struggles to find answers to these problems, deforestation continues in regions like Mato Grosso, Brazil, see in this Moderate Resolution Imaging Spectroradiometer (MODIS) image from June 2, 2002. Dark green areas are remaining, intact forests, while light green areas represent deforestation. 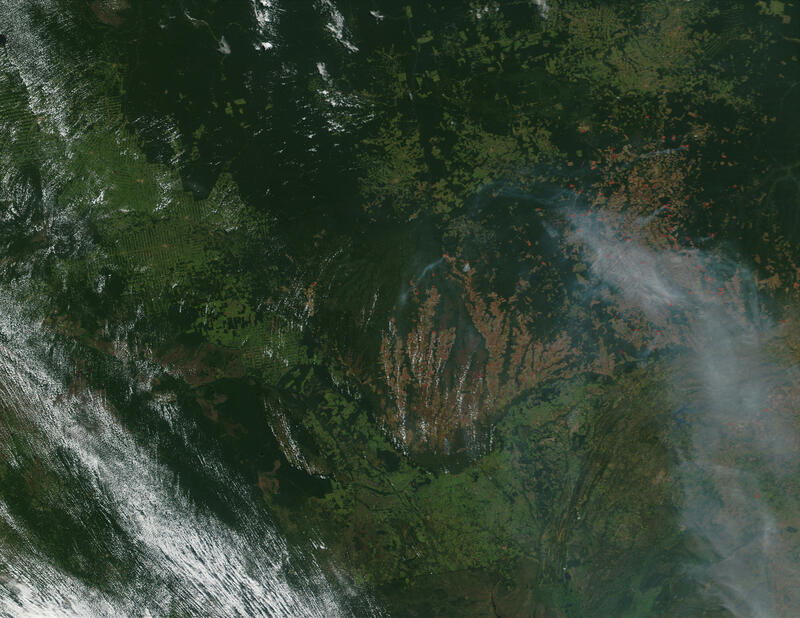 To the southwest, in Bolivia, the forests reach out right up to the border, and the deforestation itself creates a boundary between the two countries. In Bolivia, the two grayish green patches are tropical savanna, whose vegetation is drier and less intensely green. Right of center, areas of brownish-red terrain are also likely to be tropical savanna, and may be showing the effect of the coming dry season. Here, isolated patches of forest, called gallery forests, follow rivers and streams. 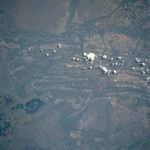 At image right, heavy smoke from the large number of fires blankets the region.